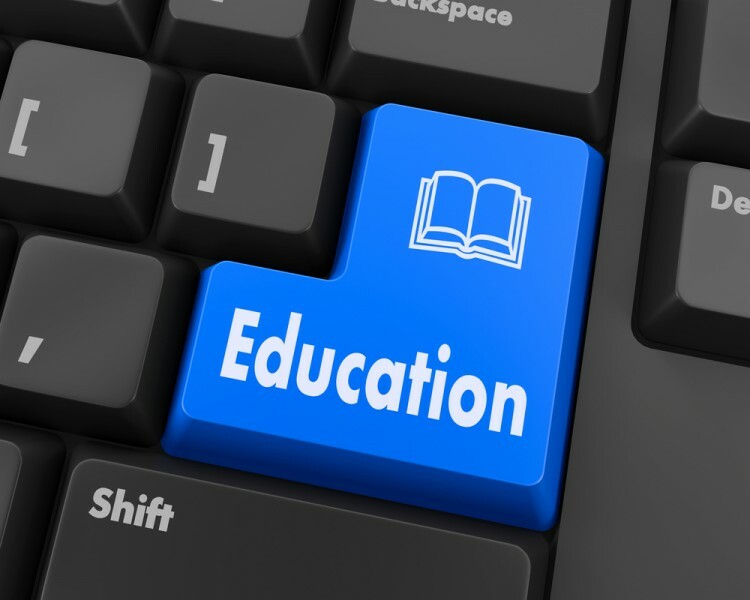 Have Hedge Funds Found Something to Love in K12 Inc. (LRN)? K12 Inc. (NYSE:LRN) was in 17 hedge funds’ portfolios at the end of September. LRN has experienced an increase in activity from the world’s largest hedge funds lately. 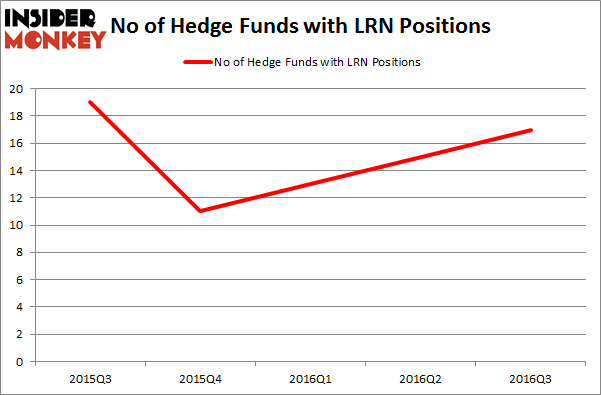 There were 15 hedge funds in our database with LRN holdings at the end of the previous quarter. At the end of this article we will also compare LRN to other stocks including Newpark Resources Inc (NYSE:NR), Sabine Royalty Trust (NYSE:SBR), and Unifi, Inc. (NYSE:UFI) to get a better sense of its popularity. At Q3’s end, a total of 17 of the hedge funds tracked by Insider Monkey were bullish on this stock, a 13% gain from one quarter earlier. Below, you can check out the change in hedge fund sentiment towards LRN over the last 5 quarters, which shows rises in ownership over the past three quarters. So, let’s check out which hedge funds were among the top holders of the stock and which hedge funds were making big moves. According to publicly available hedge fund and institutional investor holdings data compiled by Insider Monkey, Highland Capital Management, led by James Dondero, holds the most valuable position in K12 Inc. (NYSE:LRN). Highland Capital Management has a $32.8 million position in the stock, comprising 1% of its 13F portfolio. Sitting at the No. 2 spot is D E Shaw, founded by David E. Shaw, holding a $10.2 million position. Some other members of the smart money that hold long positions encompass Cliff Asness’ AQR Capital Management, Peter Rathjens, Bruce Clarke and John Campbell’s Arrowstreet Capital, and Chuck Royce’s Royce & Associates. We should note that none of these hedge funds are among our list of the 100 best performing hedge funds which is based on the performance of their 13F long positions in non-microcap stocks. Has Hedge Fund Ownership in Welltower Inc. (HCN) Finally Bottomed Out? Should You Buy BJ’s Restaurants, Inc. (BJRI)? How Big Lots, Inc. (BIG) Stacks Up To Its Peers Biotech Movers: Heat Biologics Inc (HTBX) And Achaogen Inc (AKAO) Is WebMD Health Corp. (WBMD) A Good Stock To Buy? Infosys Ltd ADR (INFY): Are Hedge Funds Right About This Stock?